Water Warriors is the story of a community’s successful fight to protect their water from the oil and natural gas industry. In 2013, Texas-based SWN Resources arrived in New Brunswick to explore for natural (fracked) gas. The region is known for its forestry, farming and fishing industries, which are commercial as well as subsistence operations that rural communities depend on. 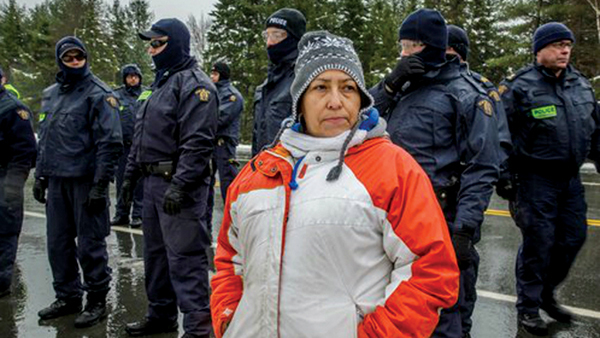 In response, a multicultural group of unlikely warriors–including members of the Mi’kmaq Elsipogtog First Nation, French-speaking Acadians and white English-speaking families–set up a series of road blockades preventing exploration. After months of resistance, their efforts not only halted drilling, they elected a new government and won an indefinite moratorium on fracking in the province.